Our experienced sales staff is eager to share its knowledge and enthusiasm with you. We encourage you to browse our online inventory, schedule a test drive and investigate financing options. You can also request more information about a vehicle using our online form or by calling (208) 639-0682. I am from southern California and travel to Boise twice a year to visit family (about 850 miles one way-1700 per trip). 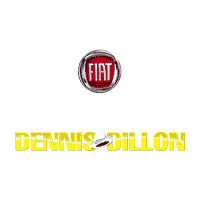 I make sure to bring my 2014 Fiat 500L to Dennis Dillon every time i'm in town for services because they are trust worthy and offer impeccable customer service. I just turned over 100,000 miles on my car and they checked it over and recommended a couple of services, which I happily agreed to. I know that their Fiat service tech will make sure my car is running smoothly and that everything is checked over for excellence, unlike my local so cal dealer (Victorville Motors) who has been notorious for leaving parts off, breaking parts, and installing incorrect parts. Further, Michael Anderson is great at calling and texting the status of my service and making me laugh with his wonderful whit. I couldn't ask for a better dealer to do business with, which is why I will continue to drive 2 states away for service. When I find something great, I can't let it go unnoticed, and these guys are great! Mark did an absolutely fantastic job and I would highly recommend Dennis Dylan and Mark to any friends or family. He was there every step of the way explaining what was going to happen next and made it a very enjoyable experience. It was an exceptional experience! Great staff very friendly and knowledgable. We stopped by on a whim while on our way to another dealership. Dave was right there to greet us and was so patient and helpful. A few hours later I drove off with the right car for me. I appreciate the honesty and integrity of these folks and would definitely recommend them to my friends and family. Bought a new car here and have always had it serviced here. Excellent dealership. Could not be happier. 10 stars if I could.